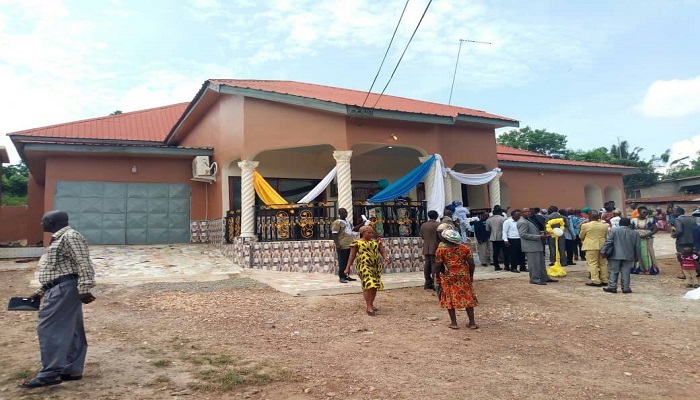 A special service was held at Akim Asene District in the Akim Oda Area of The Church of Pentecost on 6th June, 2018 to dedicate the newly constructed district’s mission house. The service was officiated by the Area Head, Apostle Peter Kofi Dzemekey, assisted by the District Minister, Pastor Aaron Kwesi-Teye, and the pastorate in the Area. In a sermon captioned, “Remain in Christ and His Basic Message to Protect Your Inheritance” based on Numbers 33:50-54 and 1 Kings 21:3, Pastor Sylvanus Alladeh of Akim Manso District admonished Christians to take good care of all inherited property, including church buildings and mission houses. He noted that like Naboth, Christians must be content with what they have and be determined to take care of what has been entrusted to them in the church. The mission house was constructed with support from the Headquarters and the Area Office. Elder Patrick Danso and his wife Gifty donated GH¢21,200.00 to support the project. They also solely funded the painting and curtains cost of the building and further donated other items to furnish the manse. 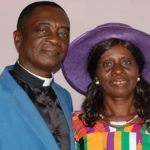 Present at the service were the wife of the Area Head, Mrs Faith Dzemekey, Pastor Matthew Yeboah of Ashalley Botwe District in Madina Area, who is also the immediate past Akim Asene District Minister. Also present was the Gyasehene of Akim Asene, Nana Amoa Daadum.